Newmilns Ski Slope was officially opened in 1975 and operated at that time by Strathclyde Regional Council. 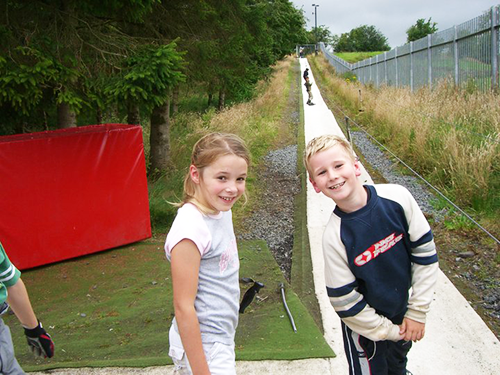 In 1995 the operation of the slope transferred to East Ayrshire Council (Community Education). The loss of the larger focus of Strathclyde South West Area coupled with financial pressures on the new local authorities following reorganisation resulted in a difficult period for the facility. A failure to invest and upgrade the facility associated with poor marketing and advertising had led to a decline in user numbers and consequent income. In May, 2000 following a public outcry, including a petition signed by just under 1000 people in less than ten days, the Education Committee of East Ayrshire Council considered a report on the future of the slope and deferred action including the possible closure of the slope pending a feasibility study on the facility. The feasibility study was co-sponsored by the Council and the Loudoun Valley Trust. The outcome of the study was positive in respect of the potential of the facility. Among other things the study recommended the setting up of a dedicated Management Group such as NSASC. NSASC was officially set up on 31st January, 2001. The current facility was achieved after many years of effort and campaigning by dedicated members of our Community who saved our slope from closure by the Local Authority and who had the vision to develop and improve our slope for the benefit of our Community. The magnificent sum of £900,000 was achieved in grant funding to achieve our dream. 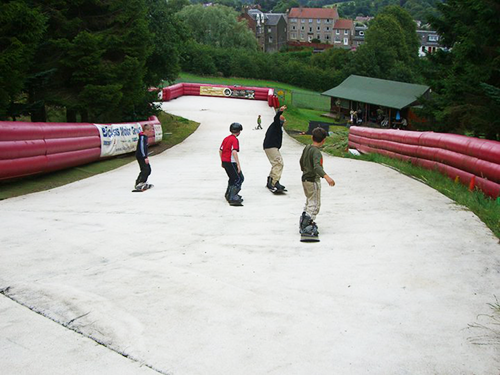 The excellent facility we now have incorporates the very latest in artificial ski slope surfaces and uplift. The upgraded facility is in its fourth year of operation since the upgrade (at Oct 2016) and has undergone a period of rapid expansion in user numbers. 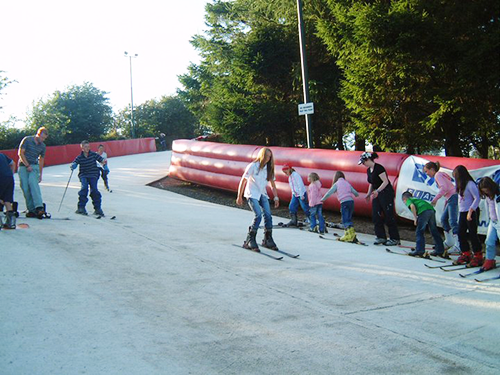 In the year 2015/2016 an amazing 30,000 visitors enjoyed snow sports at Newmilns. The facility provides 2 full time posts, 10 part-time posts and several volunteer roles. The unique environment at Newmilns allow us to offer a diverse range of opportunities where individuals can bring a range of skills and experiences which allows us to offer affordable snow sports for all. Any profit achieved is reinvested in the betterment of the facility to further strengthen affordable access to snow sports and attract a wider and more diverse range of customers from all backgrounds.